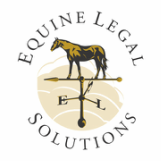 At Equine Legal Solutions, horse sale disputes generate more inquiries than any other topic. Here are the top horse-buying mistakes that we see experienced horse buyers make. 1. Not Getting a Vet Check Because It Costs Too Much. Even if the horse is free, not getting a vet check is a false economy. For example, let’s say you are buying a child’s pony for $500. Getting a vet check would add $100-200 to the initial cost, so you decide against it. You buy the pony and take her home. Two days later, the pony is dead lame. You have the vet out and it costs you $150 for a lameness exam and ranch call to find out that the pony has navicular (which the seller probably masked with a little pharmaceutical help). The seller refuses to take the pony back, noting that the pony was sound when you looked at her and that you declined to have a vet check. Meanwhile, you are paying for the pony’s expenses and your daughter still doesn’t have a pony to ride. You can’t sell the pony to someone else because she is lame – now what? 2. Buying a Horse Sight Unseen. In today’s Internet economy, we can shop for horses nationwide and even internationally, greatly increasing the selection of quality horses that we can choose from. However, technological advances have also made it easier than ever for unscrupulous horse sellers to unload their equine problems onto an unsuspecting buyer. The average computer user can now edit photographs and videos to disguise conformation flaws and even change markings and eye color. Even a video can be very misleading. You have no way of knowing whether two hours of footage was edited into 20 minutes of useable video because the horse was acting up in all but 20 minutes of the filming. The horse could be worked down for hours before the filming, or drugged to mask lameness or temperament issues. The video could be shot from an angle that makes the horse look bigger than it really is. The video could be old – taken when the horse was fit, sound and in good shape. The only way to truly evaluate a horse thoroughly is to go and try it out in person. 3. Putting a Deposit Down on a Horse without a Written Agreement. Before any money changes hands, you should have a written agreement describing the terms of the sale, including under what circumstances your deposit will be refunded or forfeited. Otherwise, the sale could fall through and you could be out your deposit money. 4. Not Reviewing the Registration Papers and Transfer Forms Carefully. A careful review of registration papers and the transfer form at the time of sale can help avoid potential problems. In just a few minutes, you can determine if the papers match the horse you are buying, if the seller is the horse’s registered owner, and if the registered owner has signed the transfer forms. Before the horse leaves its owner’s property, you should have a written agreement describing the terms of the sale, including under what circumstances you can return the horse to the seller. Otherwise, you may find yourself in a situation where you don’t want the horse and the seller won’t take him back. At the time you agree to purchase a horse subject to the outcome of a vet check, you should enter into a written agreement describing the circumstances under which you will not be obligated to purchase the horse. Veterinarians will rarely “pass” or “fail” a horse during a prepurchase exam – typically, they simply inform you regarding the horse’s health and condition. As a result, you and the seller may likely disagree as to whether the horse “passed” the prepurchase exam. 7. Buying a Horse at an Auction. Sure, there are good deals to be had at auctions, but you are taking an enormous risk Auction terms typically do not allow for a prepurchase examination by an independent veterinarian and most sales are “as is” with no recourse against the consignor or auction if there is something wrong with the horse. Let’s face it – artificial “enhancement” is very common in all aspects of the horse industry. Lameness and temperament issues can be masked with any number of pharmaceutical aids, and some of those aids are long-lasting. You can have your veterinarian draw blood during the prepurchase examination and keep that blood sample at the clinic. The blood sample is then available for testing if the horse later experiences a sudden, inexplicable change in soundness or temperament. Without that blood sample, you will have little proof that the seller drugged the horse at the time of the sale. Even if the horse is a weanling, it can still have issues affecting its long-term soundness and performance potential, and those issues are not always immediately apparent. A thorough veterinary evaluation can help you screen out potential problems. Even an experienced horse person can benefit from professional advice. Your trainer or instructor knows you, and they also know horses – trust their advice in helping you find a good match.